It is an exciting ground-up community effort to give Mother Nature a hand in restoring mangroves at abandoned aquaculture ponds on Pulau Ubin. Together, we hope to apply the Ecological Mangrove Restoration method, where mangroves will be naturally restored at in these ponds. More details here. YES! R.UM. welcomes everyone who cares about mangroves to help in our activities. How can I volunteer for R.U.M.? Simply register your interest in this form. Help out at this leisurely walk for families and ordinary people. Led by experienced naturalists, scientists and Ubin villagers. Help families see and learn more about mangroves, wildlife and heritage of Pulau Ubin. By spotting things, sharing what you know, encouraging participants to share what they know, and making sure everyone has a fun time. On Ubin: Help to reach out about R.U.M. to Ubin villagers, by visiting them, sharing our plans and progress and documenting their stories and memories of Ubin mangroves in the past. 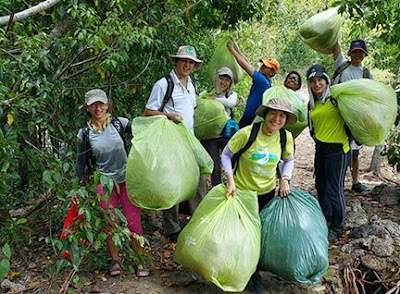 Our hope is not to just restore Ubin mangroves ecologically and biologically, but also their social and cultural role and value to the Ubin community on Ubin and beyond. Beyond Ubin: Help to reach out to the general public about R.U.M. during public exhibitions, talks and other outreach activities held on the mainland. Have fun with mangrove mud, mangrove games for kids and more! Join experienced naturalists and scientist to find out more about the flora and fauna in the abandoned aquaculture ponds, and in nearby intact mangroves. Learn about the natural mangrove habitat and conditions that could influence mangrove growth. 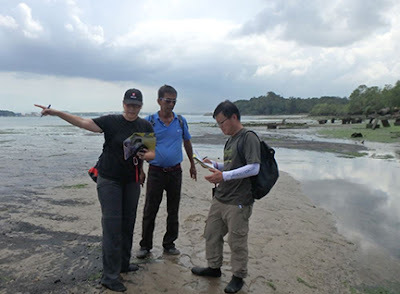 Get a taste of doing mapping surveys in mangrove forest/mud flat. Assist fieldwork researchers in measuring surface elevation using surveying equipment. Learn about the natural mangrove habitat and conditions that could influence mangrove growth. Who can volunteer for R.U.M.? Prior experience or knowledge are not required. Must be able to walk 3km. Must be able to stay outdoors under the sun for a minimum of 2 hours. Must be comfortable working in a mangrove environment (mud, insects). Transport will be provided from the UBIN JETTY to the field site. But you must make your own way to and from Pulau Ubin. More on how to get to Pulau Ubin. 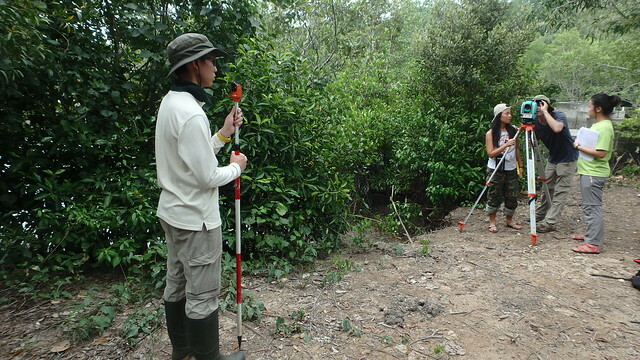 You are expected to make your own preparations for a day working outdoors in the mangroves. Please refer to this link on field preps for the things to note and bring. Learn more about Ubin, its people, heritage and mangroves and wildlife. To join us, register your interest in this form. Your email will then be added to the R.U.M. yahoo groups mailing list so that you can be updated on volunteer opportunities and sign up for them. How can I find out what R.U.M. volunteers are happening and how do I sign up for them? Upcoming activities will be posted on R.U.M. yahoo groups mailing list. To join the mailing list, register your interest in this form. How do the tides affect field work? Some field work may be only conducted when the shores are exposed at suitably low tides. Other field work may be conducted at high tides. More about tides in Singapore. Where can I find out more about what goes on the volunteer opportunities? This blog has stories of our past adventures. Can I bring my family, my kids and friends along for a field work session? 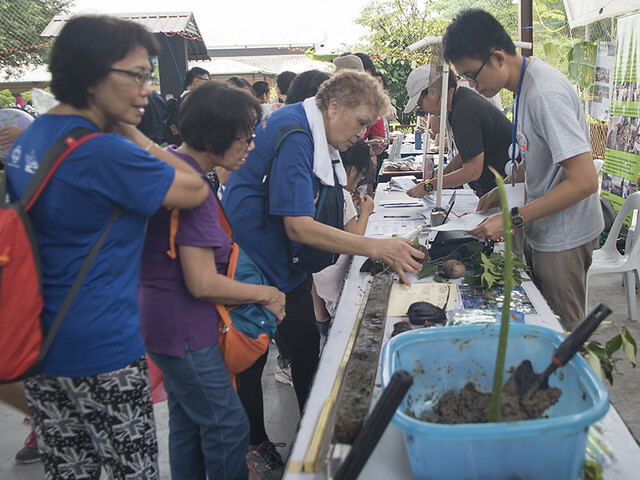 Your family and friends are most welcomed for volunteer opportunities such as helping out at the FREE monthly mangrove walks, helping out public outreach talks and exhibitions. For volunteer opportunities that involve field work, besides work targets, safety is also a key priority in a field session. Some survey sites may be hazardous for young children and even adults who are not well versed with safety protocols. For this reason, for volunteer limit participation to volunteers who are keen to participate. In addition, we are deeply concerned about impact to the very habitats that we are trying to study and restore. As someone who is concerned about the habitat, I am sure that you will agree the number of people coming on each trip should be managed. If you are looking for an introductory activity for your family and friends, you may also want to consider these guided walks below. 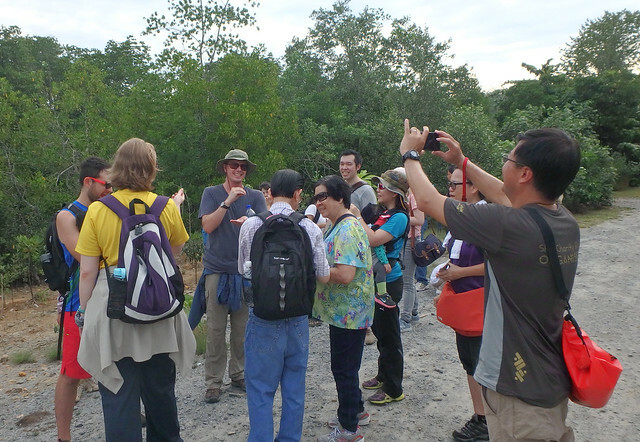 Chek Jawa walks with the Pulau Ubin NParks volunteers. The Naked Hermit Crabs also conduct ad hoc walks on various shores including monthly free guided tours of the Chek Jawa boardwalk. Other guided activities at Pulau Ubin as listed on the wildsingapore happenings blog.